Jess Stolberg is an enthusiastic business professional specialising in professional services marketing. 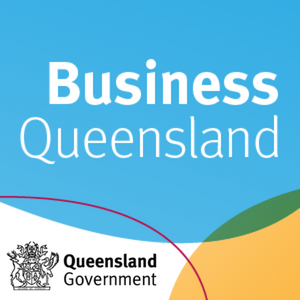 While working in business administration, Jessica completed a Bachelor of Business (public relations) at the Queensland University of Technology. In her final year of studies, Jessica was an integral part of the team running Australia’s largest online community of baby boomers, www.startsat60.com. Jessica continued with this media organisation for two and a half years working across all facets of business including: editorial, business development, social media and commercial management seeing it grow from a website with (on average) 20,000 pageviews/month to 1.8 million pageviews/month and 2,000 Facebook followers to 125,000 followers. During this time the company also began generating revenue and turned cash flow positive. While Jessica was working for Starts at 60, she was also providing marketing consultancy services to several clients including ADG Engineers, Prosperity Advisers and Quantera Global. In June 2015, Jessica moved to New Zealand with the appointment of Marketing Manager for the Harcourts Optimize Group and took over the full strategic marketing management for offices under this franchise. During her time with Harcourts, the company experienced some of the largest sales and market growth in it’s ten year existence and also achieved three of the most successful months, in terms of revenue, in it’s history. Jessica’s strengths lie in critically assessing and re-strategising corporate marketing plans and developing systems and procedures with implementation plans for better, more effective marketing practices. With experience in all elements of marketing including social media, digital and traditional communications, public relations, website development and planning, editorial and content curation and planning as well as events and brand management, Jessica is a multi-disciplinary marketing consultant available for all types of projects.